Two 50-lb rear wheel weights (one on each wheel) or up to four 42-lb Quik-Tatch weights are recommended for additional traction. Tire chains are recommended for traction. Winter grille cover is recommended for tractors with air-cooled engines to prevent carburetor icing. 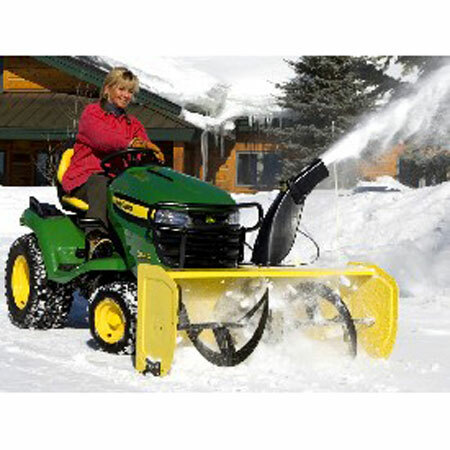 Optional drift knives are available for each side of the blower housing and are recommended for deep-snow conditions. Optional heavy-duty skid shoes are available for high-hour use and extra protection. Optional plastic skid shoes are available for reduced scratching and marring of the driveway surface.